With locations in Windsor and Frankston, Southside is known for perfecting the art of spiked milkshakes and mouth watering burgers. We recently visited the new Windsor location, Southside Central. Conveniently located on Chapel Street amongst two levels including a heated rooftop featuring DJs on weekends, the eatery has fast become a new destination for burgers + booze + beats. It's easy to understand why. To start we enjoyed a selection form the "Bites" section of the menu. We loved the Mac'n'cheese nuggets - think crunchy exterior filled with a gooey cheesy centre. If you can handle a bit of heat, we recommend the Jalapeno poppers with sour cream - these babies were flavour bombs and had just the perfect amount of kick. 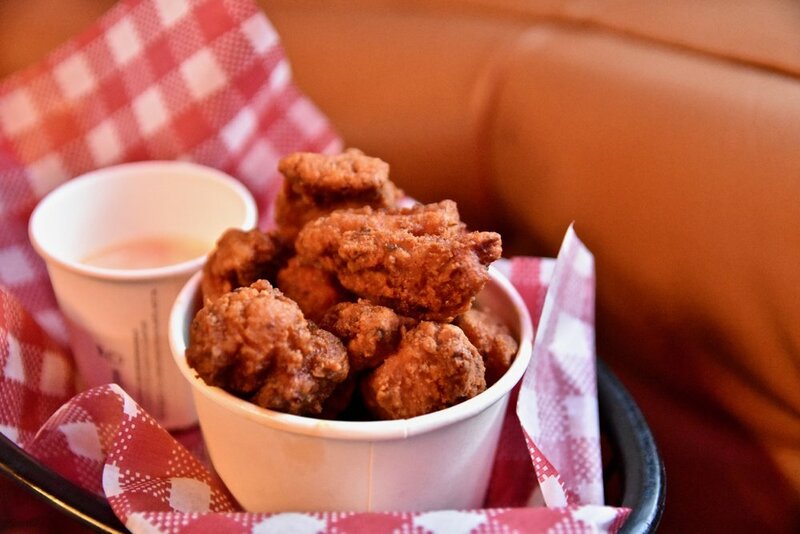 The fried and glazed popcorn chicken was another crowd pleaser. For the main affair, the burgers are a must. Over the top, and exceedingly delicious. The Southside Meat Market was our favourite burger. A real show stopper, this burger boasts a juicy beef patty AND luscious southern fried chicken, bacon relish, American cheddar, social mayo, ketchup, iceberg lettuce and tomato in a butter toasted bun. A clever and pleasingly complex combination of flavours that we loved. For something a little left of centre, we recommend the Harlem Burger. This gorgeous creation features delectable Southern fried hot chicken, American cheddar, white BBQ sauce and maple mayonnaise sandwiched between two fluffy butter milk waffles dusted in powdered sugar. Simple wonderful. Southside Central also just so happens to offer a wonderful selection of creative cocktails, with one of our favourites, the wonderfully nostalgic Bubblegum Sour which is made from a heady mix of Vodka, bubble gum syrup, fresh pressed lemon juice, orange bitters served over crushed ice. This delicious concoction will bring back some childhood memories! 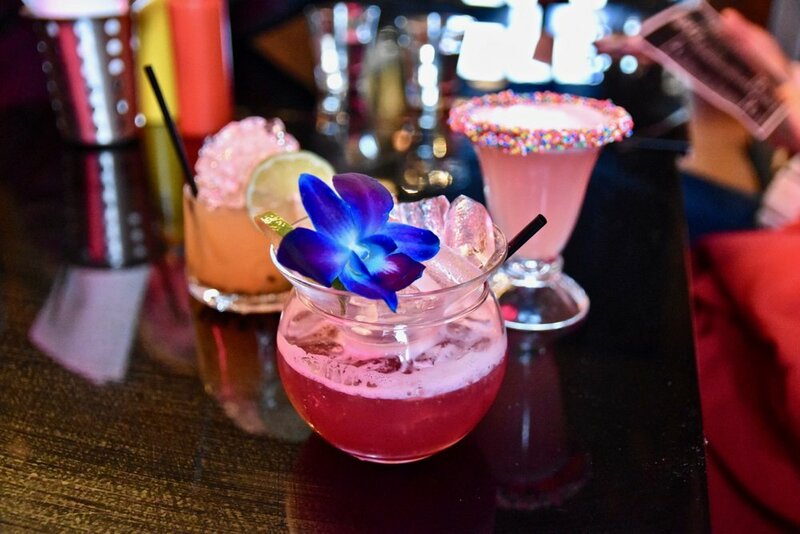 We also enjoyed the pretty as a picture Mexican Summer, made using Tequila, orange liqueur, lemon juice, cherry syrup, red wine, shaked and served neat in a martini glass with salt rim. Just yum. 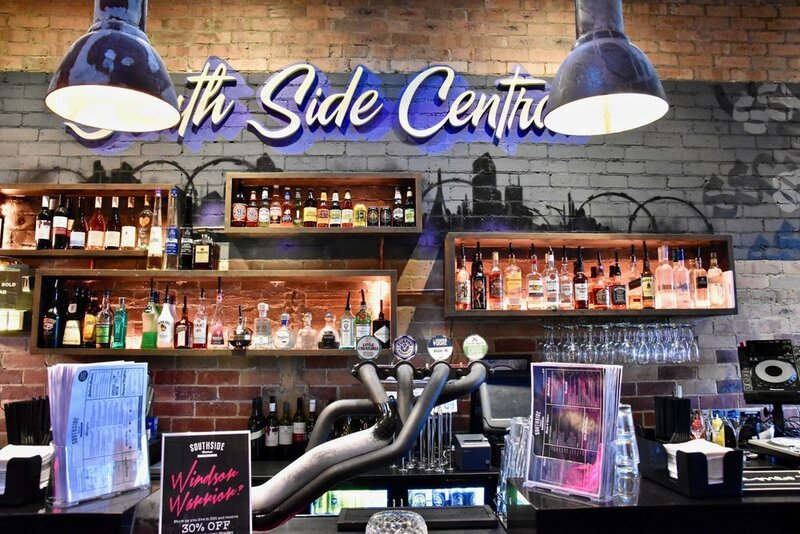 Combining delicious cocktails, epic burgers and sides alongside friendly service, Southside Central is a compelling proposition that is versatile enough to take you from Friday night drinks to a feast with mates.